I'm Nikita Woolfe, I am a campaigner and a filmmaker. I believe film is a great way to open up discussion and create awareness around an issue. Close the loophole in the Viability Assessment for developers. Start enabling the Councils to borrow to build truly affordable social housing. Stop calling affordable housing affordable when it's nothing of the sort. - find your own piece of land where no one lives! Since the 1980s the picture of social housing has changed dramatically in the UK. The Councils have stopped listening to the plight of the people and are now demolishing huge swathes of publicly-owned housing estates against the wishes of most residents. They are destroying homes and communities in order to finance their own deficits. But it’s a false economy. Our film 'Concrete Soldiers UK' shines a light on an issue of unparalleled importance to millions of people, but which is not generally given the exposure it deserves in the mainstream media: the housing crisis, which is not really a crisis of supply but of affordability. The film argues that only by investing in our social housing, and not tearing it down, is the UK ever going to build itself up again. The film uncovers the truth behind the Grenfell Tower disaster and paints a compelling picture of the many circumstances that people find themselves in because they live on a condemned housing estate. This is happening all across the UK and it will only stop when enough people ask to make it STOP! We contact tenants' organisations and community halls across the Uk. Then we arm ourselves with a projector, a screen and some speakers. We are now a mobile walking cinema! That’s it. We go out into the community, screen 'Concrete Soldiers UK' and share what we have and what we know, whilst recording people's experiences and successes. On our return we then put together a handbook - a collage of KNOWLEDGE. All about regeneration and about fighting the social cleansing of our cities. The important bit: We take experiences from across the UK! Other handbooks have been made from London experiences check this one out: link - but what we want is an EASY guide with loads of pictures and charts and graphs, which can navigate you through the maze. Our handbook will have notes about the best lessons learned, potential pitfalls to watch out for and simple diagrams of how to start and what to do. The 'Concrete Soldiers UK' handbook, called INSPIRE 2 RESIST, will be available free online or given out in booklet form (if we get enough funding) . We are hoping that people will want to make sure this project will happen, but in order for it to be successful we need firstly to pay for our travel and accommodation as well as the cost of portable projection equipment, admin costs and printing costs. Then we need to make sure that the mobile walking cinema - us! - can sustain ourselves whilst touring. And then we need some time to collate and design the handbook. If we reach this target before the camapign finishes we are going to raise the target a bit so we can afford to print the handbook and send it out. We aim to visit at least 15 different places around the UK, as well as covering London as extensively as possible. That’s at least 8 hotspots around the UK, using the larger cities as branching-out points. Once we have pinpointed the exact places where regeneration is rife we can contact groups in the area and start booking the venues. Tired of just standing by and watching social housing being destroyed? If you support this campaign you know that people across the UK will be informed of the scale of the crisis whilst being inspired to stand up and fight. Concrete Soldiers UK can transform people’s view of the whole idea of social housing. "After watching 'Concrete Soldiers UK', I left the theatre very emotional and very angry. I wanted to go out and shout about all the injustices in this film. Watch it, it's powerful stuff." Producer/director working mainly on factual productions, specialising in cinematic storytelling. Nikita also runs WoolfeVISION, a film collective which supports new filmmakers and encourages new concepts. Nikita’s background is as a cinematographer and editor working mainly in drama. She’s worked in a variety of production roles in independent film & TV. 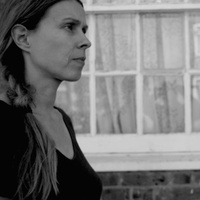 She was DoP on the short '14', which was Bafta-nominated in 2010. Her student film 'Roy Eastend Boy' won the Exposures Grand Jury Prize and Best Documentary in 2007. Nikita now works as a freelance director/producer for independent production companies whilst running Woolfe.Vision. Andy is an independent journalist, and a campaigner on human rights and social justice issues. He has become an integral part of the campaign and will take part in the screening tour and creation of the handbook. Since 2006, Andy has been writing about the lawless US prison at Guantanamo Bay, and working to get it closed down, and he is also involved in social justice issues in the UK, as the author of two books about the British counter-culture, and as a journalist, campaigner, photographer and musician. As a long-term resident of social housing, he is passionate about its future, and, as well as saving estates from destruction, he hopes to see a mass movement for the creation of new, genuinely affordable social housing for all. - Everyone who donates to the campaign will receive a free handbook via an online link. Watch 'Concrete Soldiers UK' from your own cosy couch. Or receive an invitation to an exclusive screening in Central London. Or maybe receive some intensive training from the Director herself of how to make films that matter. Alll this and more is available - check it out. Tired of just standing by whilst other people fight for their communities? Do you want to make a difference? Support our #INSPIRE2RESIST campaign!